The vessel is expected to be completed in December 2018. 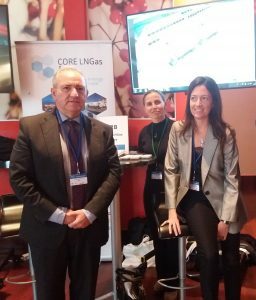 Part of the CORE LNGas hive initiative – will be coordinated by Enagás and led by Puertos del Estado (State Ports). It includes all phases of design and feasibility. 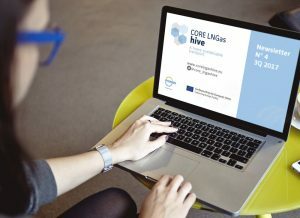 CORE LNGas hive project participated in Estonia, Tallinn, September 21st and 22nd, at the Connecting Europe conference. 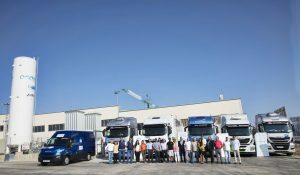 The conference focused on investments into the European Union’s trans-European transport network (TEN-T) with the aim of identifying policy actions, priorities and financing solutions for such in the post-2020 EU financial framework. The purpose of the conference was to gather compelling and tangible information on the state of play of TEN-T implementation and financing thus far, while also identifying different financing opportunities for the future. As the event underlined, the TEN-T strategic framework and the long-term infrastructure plans are essential to achieving the EU’s common objectives: economic growth, jobs and competitiveness of the EU economy; efficient functioning of the EU single market; low-emissions and smart mobility and trade and connectivity with third countries. For these purposes, TEN-T core transport network needs to completed the by 2030, and the comprehensive network by 2050. The conference was organised by the European Commission and the Estonian Presidency of the Council of the European Union. Opening remarks were made by Estonian Prime Minister Jüri Ratas, and Vice-President of the European Commission Maroš Šefčovič; followed by a high-level plenary session with the participation of an all women panel by European Commissioner for Transport Violeta Bulc, Minister for Economic Affairs and Infrastructure of Estonia Kadri Simson, and the Chairperson of the Transport Committee of European Parliament Karima Delli. All of them shared with the participants the present situation, the challenges to face and the future of the sector. President of the European Investment Bank (EIB) Werner Hoyer also delivered a key note at the conference. The sessions following the high-level plenary concentrated on looking at existing and future investment opportunities for infrastructure. 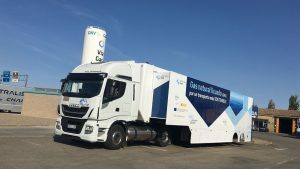 The second day the question of how to overcome TEN-T missing links and bottlenecks was examined; including, for example, how to bring about more innovative solutions in smart and low-emission mobility. The latter showed the synergies between transport and energy and digital sector. The conference received around 1,500 attendees and gathered essential stakeholders: EU ministers, members of the European Parliament and the European Commission, TEN-T coordinators, European Investment Bank and National Promotional Banks, ministers from Europe’s neighbouring countries, project promoters, investors, international transport organisations, and members of transport and financing sectors. We could listen directly from them transport investment and financing needs for the post-2020 EU financial framework. 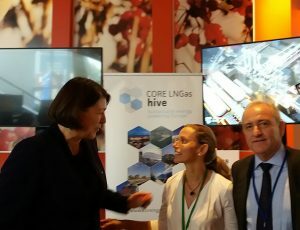 It was an excellent opportunity to interact with policy makers, stakeholders and meet with representatives of projects beneficiaries of CEF and TEN-T initiatives such as CORE LNGas hive.